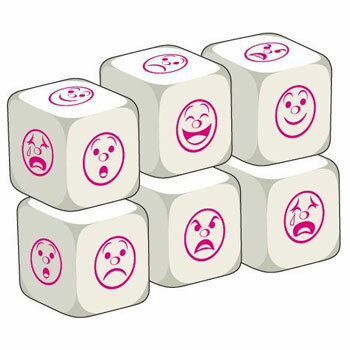 A set of six Talking Dice, each featuring six different "mood faces". These are ideal for teaching emotions or opinions. These dice can be used in a range of different MFL games and activities.